Yoko Pwno have just created an album that incorporates elements of hip-hop, jazz, breakbeats and drum and bass, while still referencing the house and techno beats which defined their earlier output. The current incarnation of the band has been rocking crowds since 2016 playing sets at the Kelburn Garden Party, Eden or even an (all seated!) 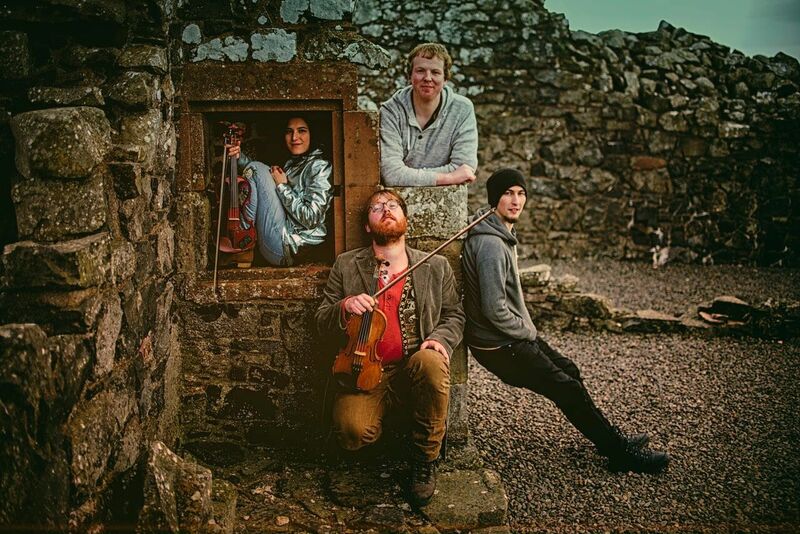 gig at Celtic Connections and have finally hit the studio with producer Iain Copeland (Peatbog Faeries, Sketch) to create their debut album. ‘Artefacts’ to be released on Skye Records, and will be available for sale at this gig. Jackal Trades is an act that merges electro and hip hop influences to deliver lyrical storytelling with impact. They have just released their 2nd album ‘Trip Hazard Advisor’ after launching it at the Glasgow Barrowland Ballroom. The band were nominated for ‘Best Hip Hop’ at this year’s SAMA awards and just supported U.S rap icons Sage Francis and B Dolan on their recent UK tour and also shared the bill with The Mouse Outfit, The Moods, and The Mickey 9s.